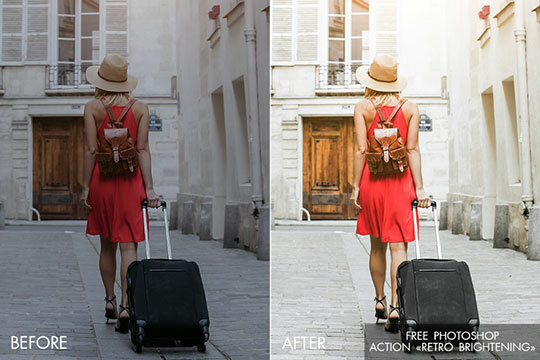 If you love taking good-looking photos that make a “wow” effect, you definitely spend much time working in Photoshop. 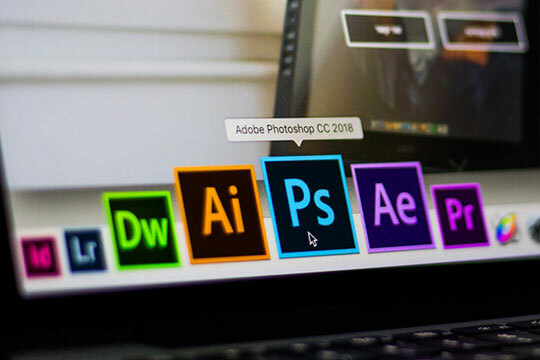 It doesn’t matter whether you design or edit photos, the PS software provides you with a great choice of options for professional image post production and photo manipulation. 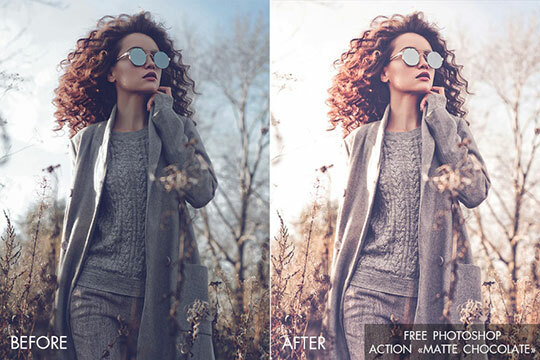 Free Photoshop actions are among the most popular tools for picture editing. They let you cope with repetitive tasks fast and achieve wonderful results. Photoshop actions are a mix of several photo editing tasks that are played back on one file or a batch of files – panel options, menu commands, tool actions, etc. For instance, it is possible to create an action that affects the size of the picture and then saves it in the necessary format. Recommended for you: 10 Photoshop Effects to Make Your Text Speak. 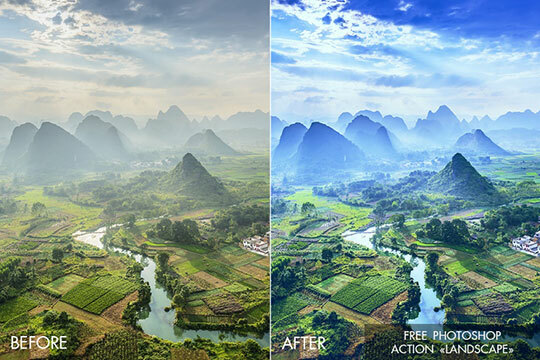 If you use Photoshop actions free, you will save lots of time while editing images. 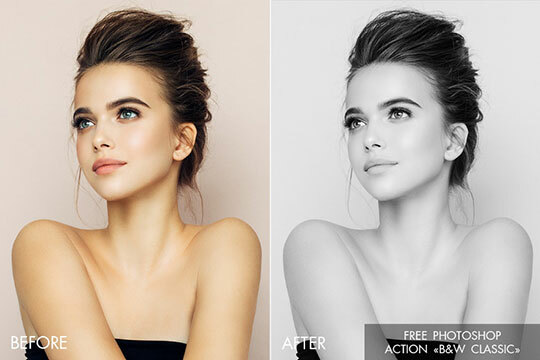 Moreover, you will have an opportunity to change photos like professional so in several minutes, add some special effects, and achieve desired looks just in few clicks. Start using PS actions and you will have excellent photos. Moreover, they will become a great time-saver for you. Experiment as much as you wish and have fun. Where to Find Free Photoshop Actions? Unfortunately, it may take you a long time to find the photo effects that fit you. To save your time, we have prepared 118 various free Photoshop actions and singled out ones that will be helpful in your work. 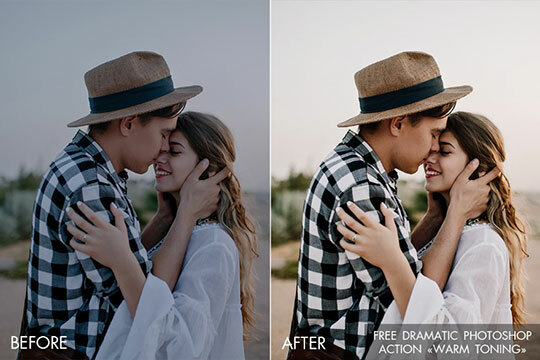 Downloading these actions, you will be able to apply many trendy effects: incredible black and white conversions, vintage look, amazing film/VSCO effect, HDR and matte. Thanks to these sets, you won’t have to spend a lot of time looking for free actions for Photoshop that are safe and really free. Do you wish to improve your portrait photos fast? 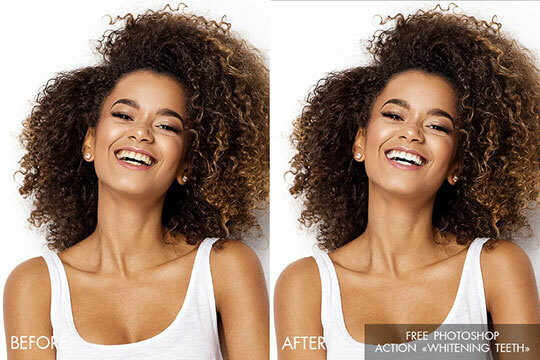 Then these set of six wonderful free Photoshop actions for portraits will be a perfect way of removing skin blemishes or making eyes bright. You can improve the photo color scheme, focus on some details of the image, and even achieve the effect of a Hollywood smile. Would you like to get a Hollywood smile in your photos just in a few seconds? 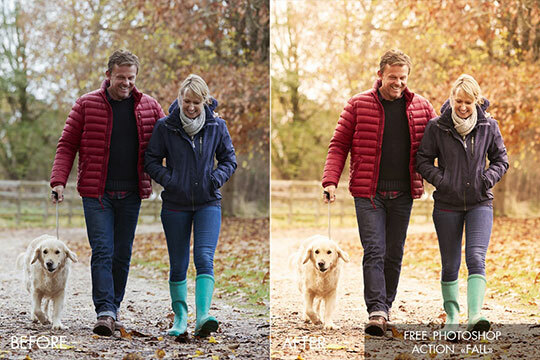 Try this pack of actions to remove the yellow tint and get a beautiful natural smile. Draw attention to your model’s eyes, making them livelier and brighter. 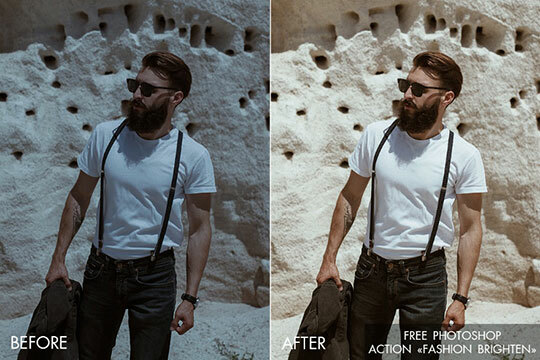 This pack of free professional Photoshop actions is perfect for these purposes. They will immediately give eyes brightness and natural glow. 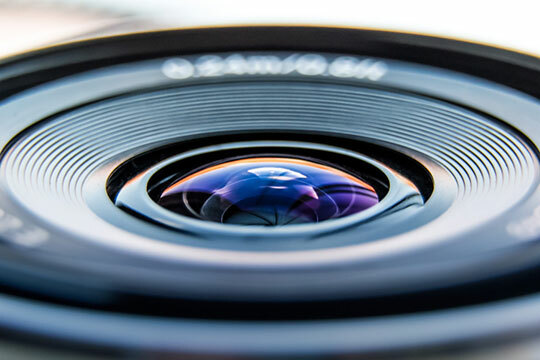 You may like: 30 Great WordPress Portfolio Themes Suitable for Photographers. 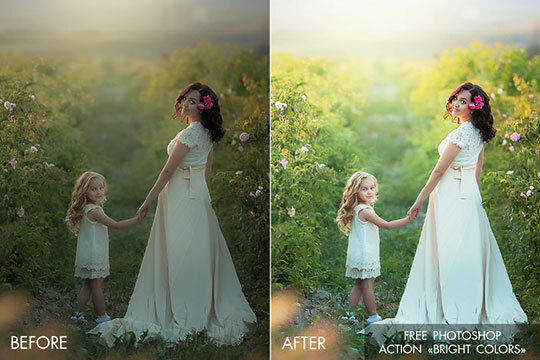 To add a little stylish and glamorous look to your pictures, take advantage of these actions. 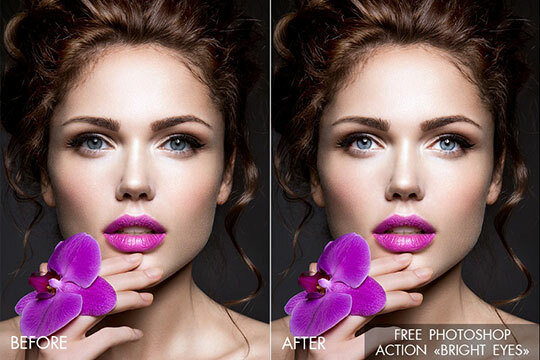 Play with color and brightness and make your images worthy of the best glossy magazines. Download six Ps plug-ins and turn ordinary unremarkable photos into real masterpieces of digital art. If you need to add a little warmth and softness to the images, apply one of these actions with a sepia effect. A set of 6 unique filters is available absolutely free. 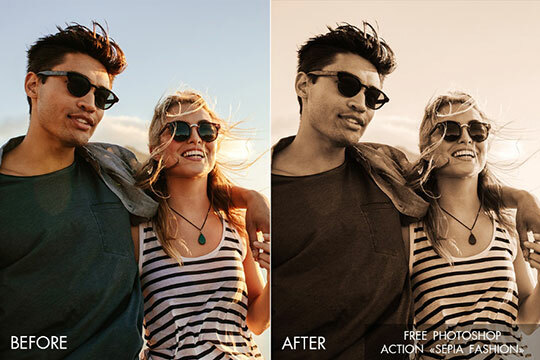 Adjust too bright and oversaturated color settings thanks to the sepia free Photoshop actions. Apply these actions to bring a bit of autumn mood into the pictures. Original color schemes, softness, and warmth will enhance your pictures. This set is perfect for various image types including wedding, portrait, and outdoor fall photography. Add the effect of Golden Hour. Are you searching for something that will give your photos a charming old look? Then pay attention to these six free Photoshop actions for photographers who prefer grunge and rustic effects. Try them and get incredible photos in the vintage style. Retro style is still widely-used by portrait and street photographers. After downloading this set, you will be able to test out different shades of yellow and brown, pastel tones, and add a “faded” look to the photos. 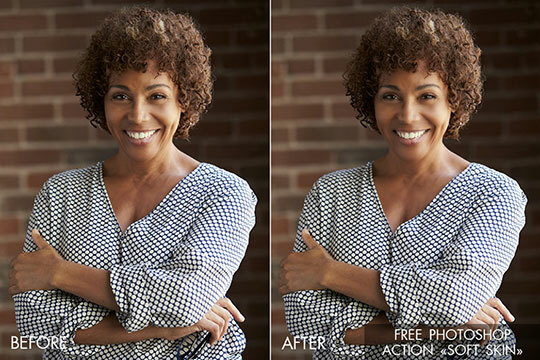 Using these best free Photoshop actions you can improve contrast and brightness, hide too vivid skin flaws and highlight the Bokeh effect in your photos. Thanks to this bundle, you will get more saturated and vivid images without any effort. 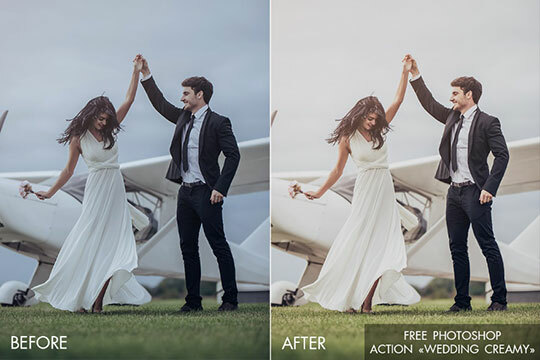 Do you need a universal Photoshop actions set that will help improve all wedding photos? Then this package can be your real helping-hand. Get breathtaking photos complemented with creamy shades or a matte effect, softened tones or a classic black and white look. Do you admire black and white photography? Make your photos monochrome in several clicks and get professional black and white photo editing. If you are engaged in the wedding, newborn, portrait or lifestyle photography, you should definitely try these actions. They will make the image softer and more elegant and add some kind of tenderness and dreaminess. Play with the colors and shades of your images and get amazing results. Add a little green or purple hue, make your portrait and landscape photos even better thanks to this cross-processing actions pack. Do your pictures look too dim and lifeless? 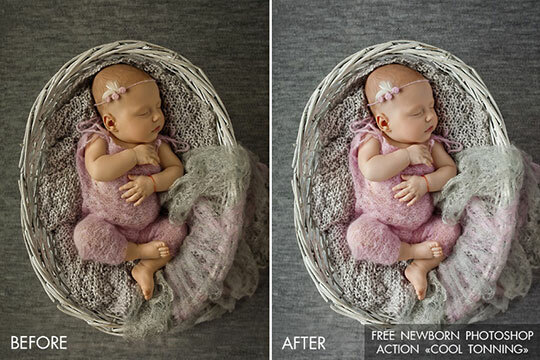 These Photoshop free actions will help solve such a problem. They will make the picture more dynamic, impressive and vivid. 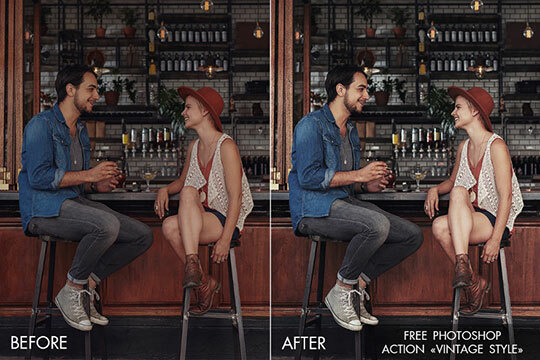 These freebies can make photo color correction much easier and faster. Get unbelievable colors thanks to these 6 actions. The whole range of colors, from deep bright to soft, will be at your disposal. Make photos of newborns even cuter and sweeter. The presented actions will improve the shade and color of the baby’s skin, remove the reddish skin. They will smooth out small folds and correct other imperfections. 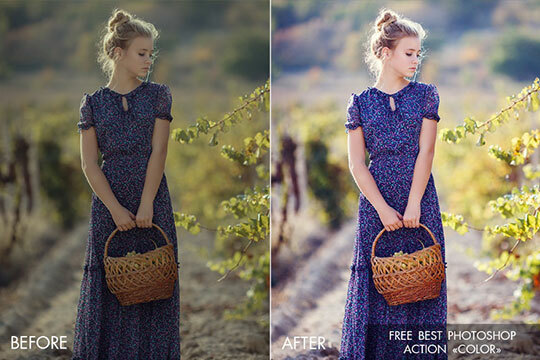 Speed up your image editing work using the best free Photoshop actions. 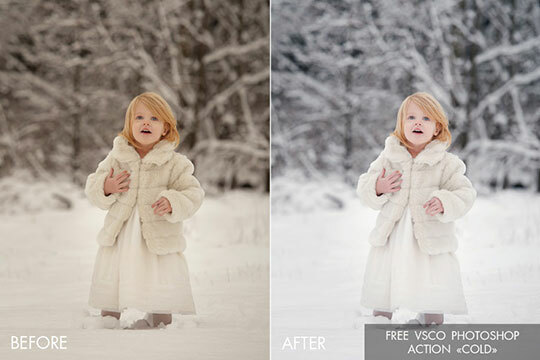 You get a choice of 10 free PS actions to simplify your color correction. They will help you obtain an ideal look and satisfy your customers with awesome outcomes. You may also like: Earn Money with Photos: PhotoMarathon by TemplateMonster. 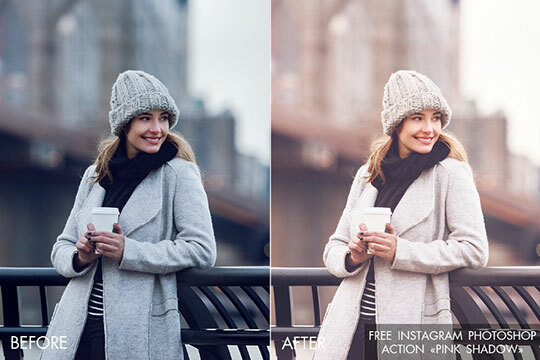 This pack gives you several additional options to enhance colors for your Instagram images. It will take you a bit of time to brighten the image, add green shades or transform it into a retro or vintage shot. 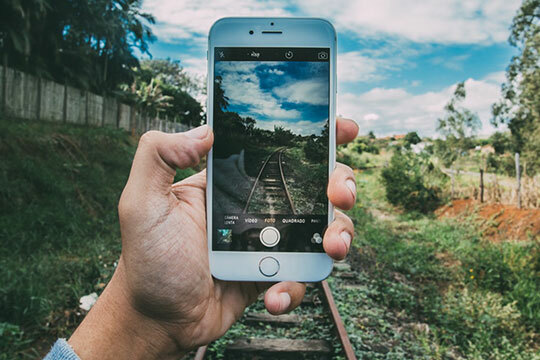 Make your Instagram photos interesting and memorable. 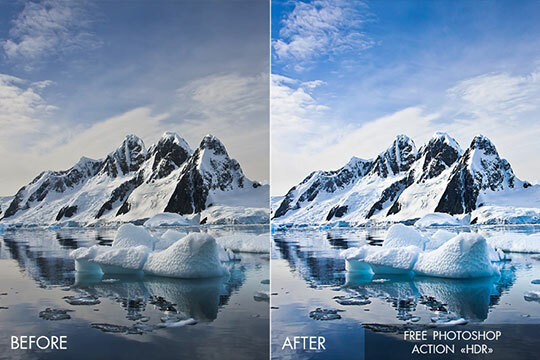 Photoshop actions free will be helpful if you wish to make photos clearer and enhance a white color. You will be able to change the contrast, convert the image to a black and white or soften it with a matte effect. Video Game Design: What Makes a Successful Video Game? Is it a Good Practice to Use SVG Images in an Android Application? Great post and thanks for sharing with us. Impressed! Every task looking good and clean. I think everyone becomes too impressed when show before from after work. Thanks, sharing a good experience.